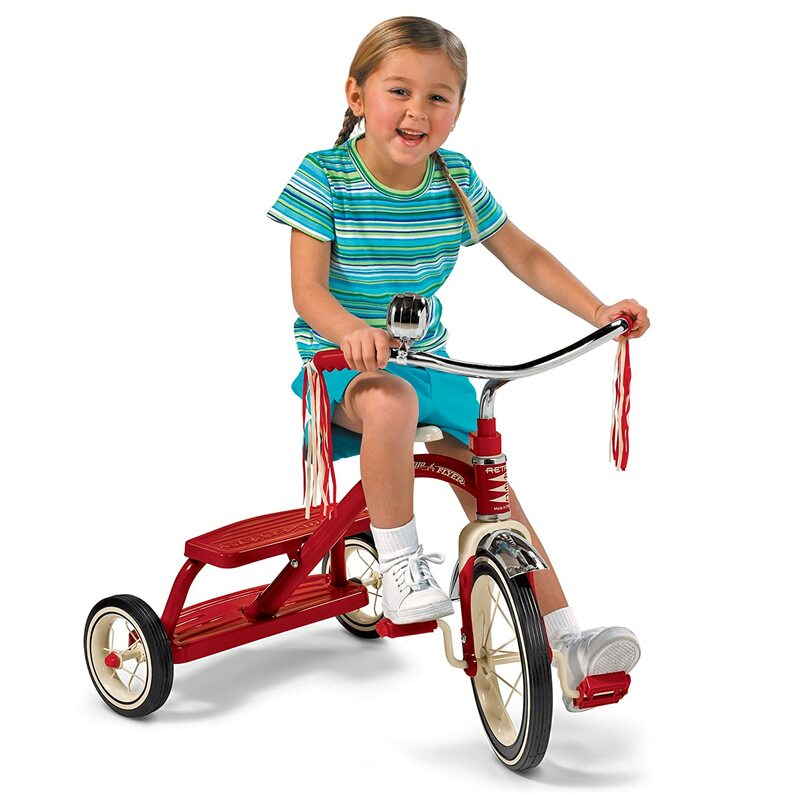 Steel construction, spoked wheels, and rubber tires for durability. Double-deck rear step for easy on and off. Controlled turning radius prevents tipping. 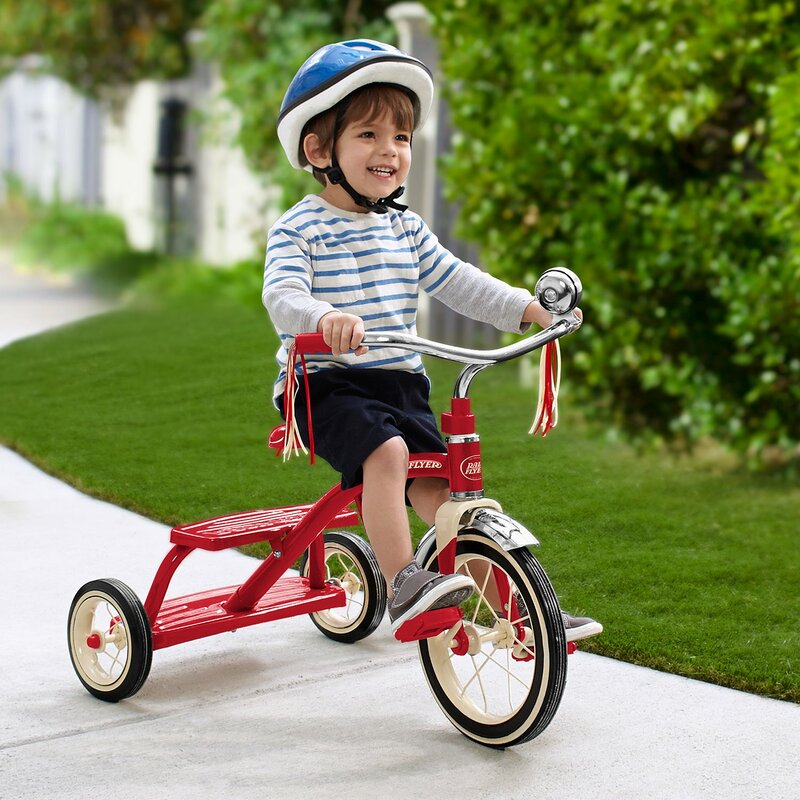 Classically styled with chrome handlebars, streamers, and a ringing chrome bell.